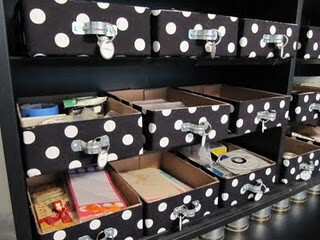 Today’s Pinterest365 is a DIY Storage solution that I was inspired to make when I saw this post on Pinterest. I love the symmetry of the boxes, the clean appearance and the adorableness. 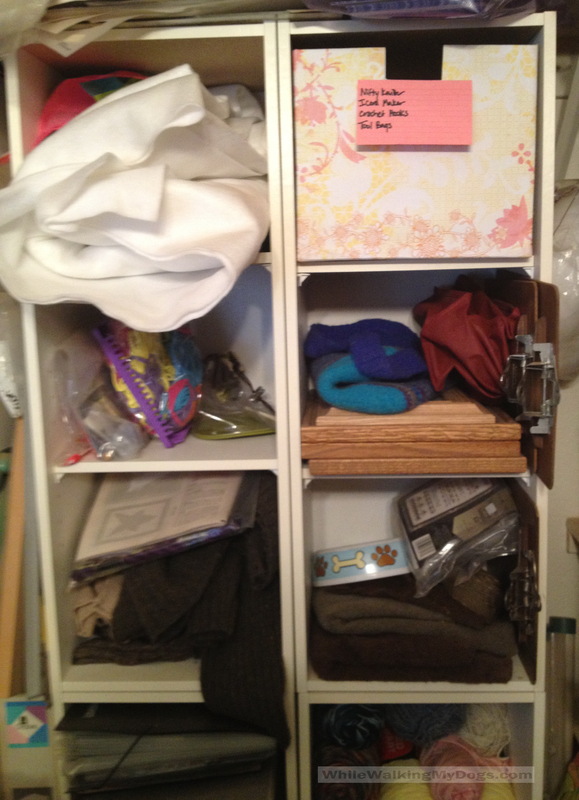 I have a collection of cubbies that I use for storage in the closet in my Craft room. 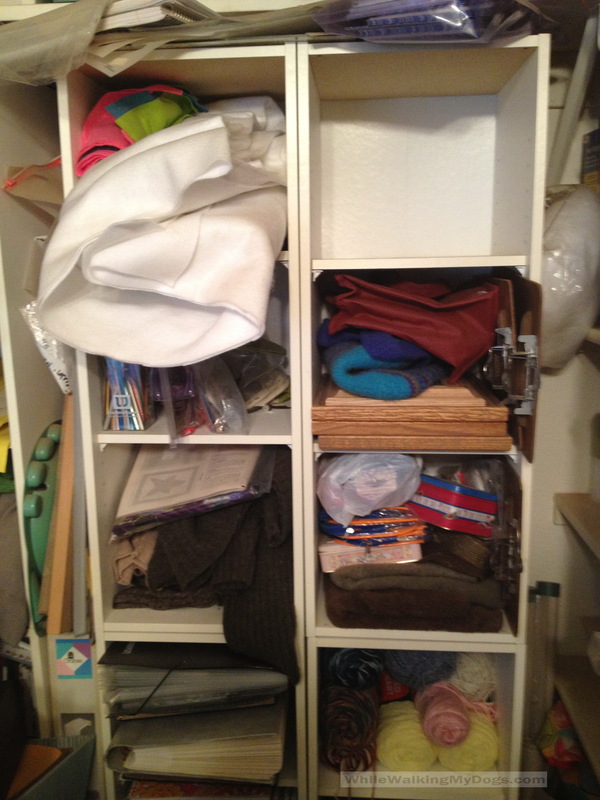 I removed the closet doors years ago so the space was visible. Every now and then I wish I still had the doors so I could hide the mess :-). But I don’t so my only course is to tidy things up. As you can see I’ve let it get away from me, so when I saw this post, I knew exactly what I needed to do. The best part for me with this project, besides the tidiness, is that it hasn’t cost me a dime. I fished some used boxes out of my recycle bin and started to cut the pieces I would need. The cubbies are an odd shape (10 1/2″ X 11″ X 9″), but once I had the pieces cut all I had to do was tape them together. I only covered the front with scrapbook paper because it’s really the only part you see and I didn’t want to waste good scrapbook paper on something that won’t be seen. As you can see, I haven’t gone for the “pretty” look. 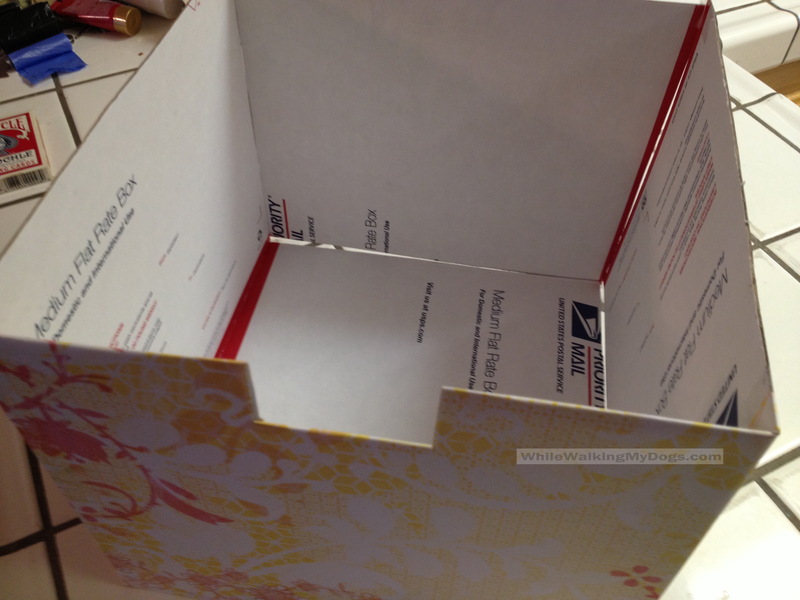 I grabbed some index cards, scribbled down the contents of the box and taped it to the front. I will fuss with “pretty” later. 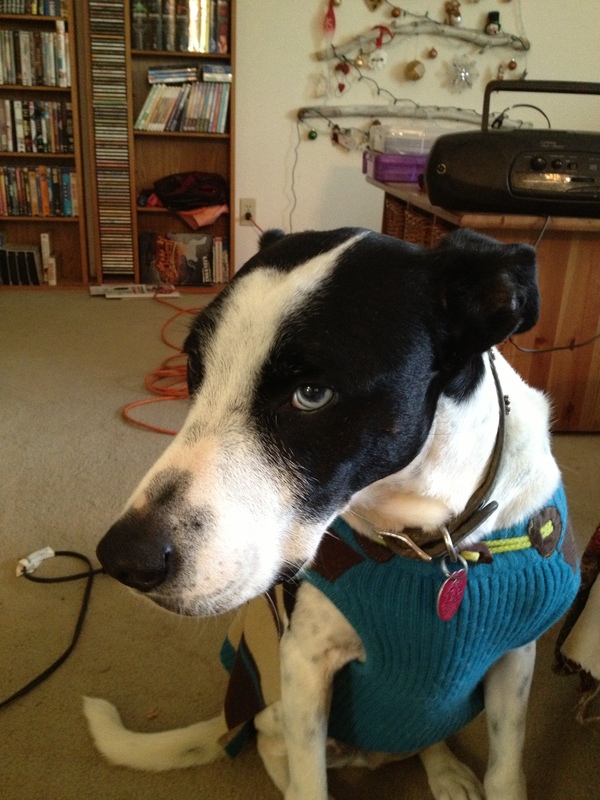 Right now I just want to get things put away and organized in a logical and efficient manner. I’m really pleased with the results. Only 29 to go! 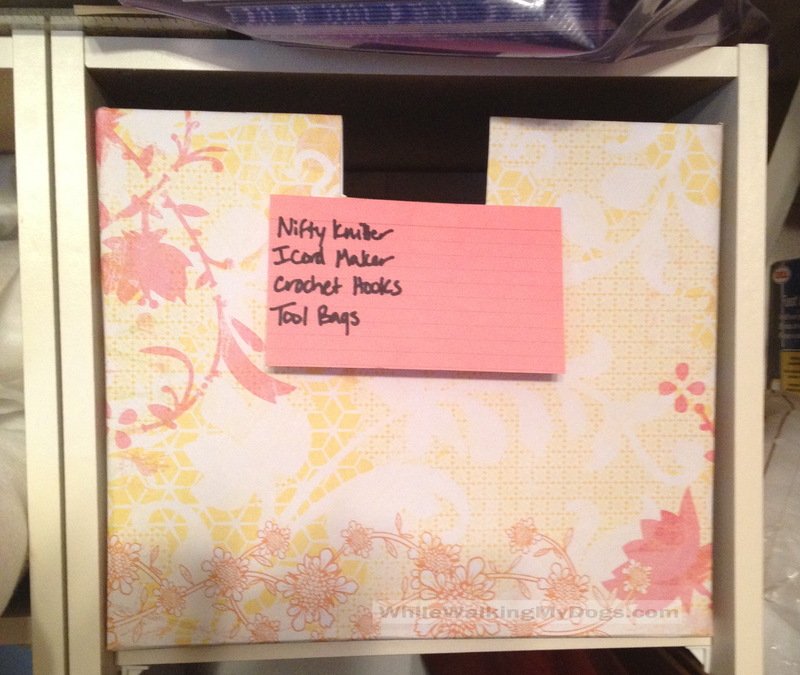 This entry was posted in Cleaning, DeCluttering, Homemade, Organization, Pinterest, Recycling, Repurposing, Saving Money and tagged Cleaning, decluttering, homemade, Organization, Pinterest, recycling, repurposing, saving money. Bookmark the permalink.